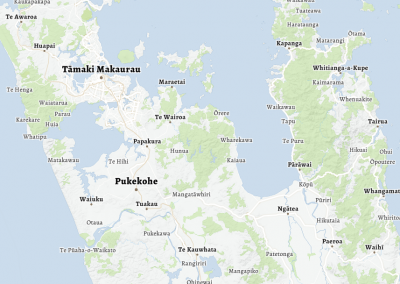 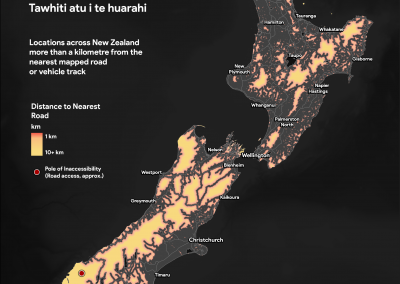 The Map Kiwi designs maps with a focus on effectiveness and clarity. 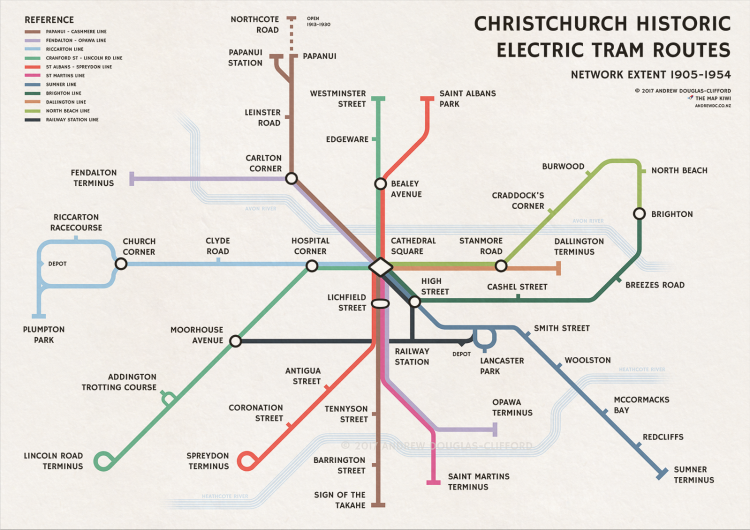 We’re supporting Christchurch with maps and love. 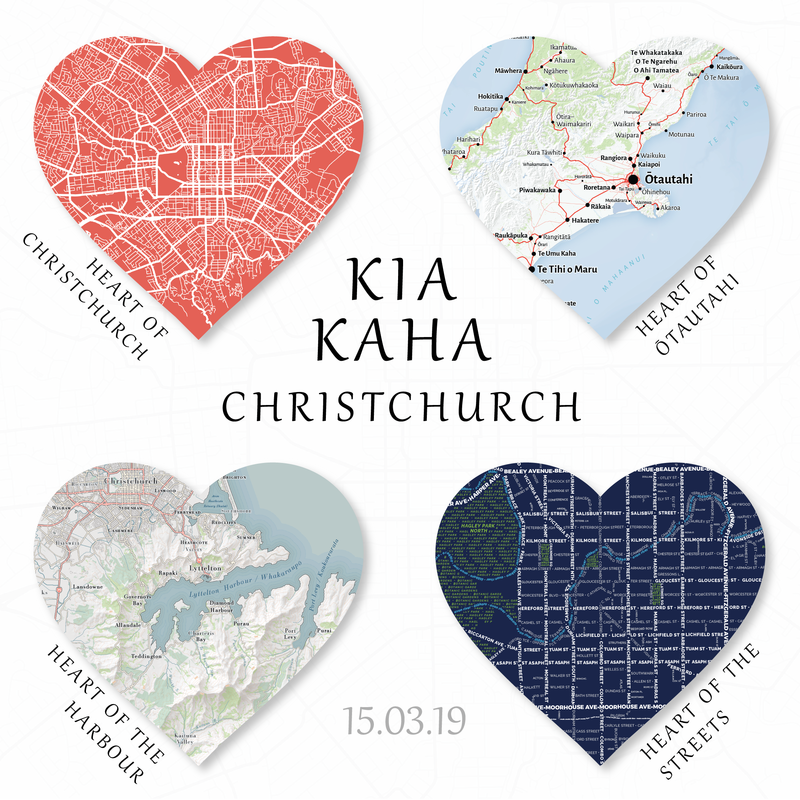 The proceeds from the sales of these four heart-shaped wall decals will be donated to the Christchurch Shooting Victims Givealittle Fund. 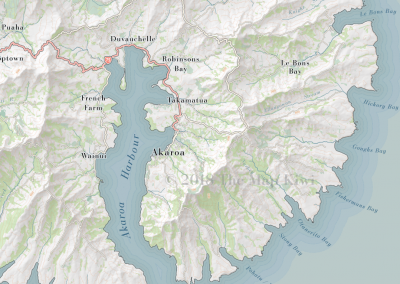 Click on a map to learn more, or view my full portfolio. 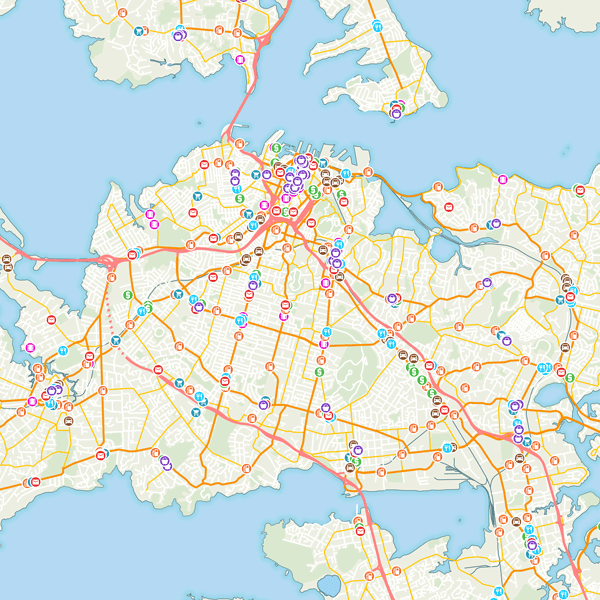 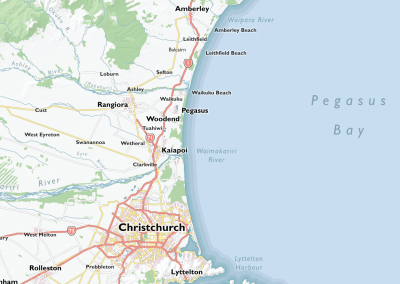 The Map Kiwi features the work of Andrew Douglas-Clifford, a cartographer and GIS Professional based in Christchurch, New Zealand. 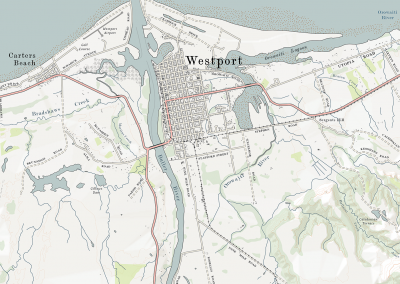 This website originally began as a blog in early 2016 dedicated to posting various maps I created while studying for my degree. 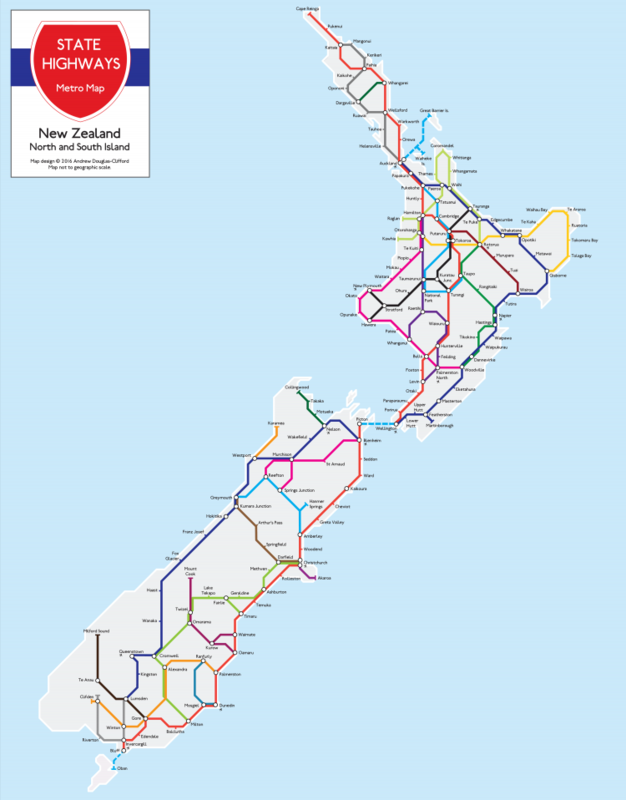 The exploding popularity of the New Zealand State Highway Metro Map saw my work reported in the New Zealand Herald, Stuff, Lonely Planet and on an interview with John Campbell on RNZ’s Checkpoint programme. 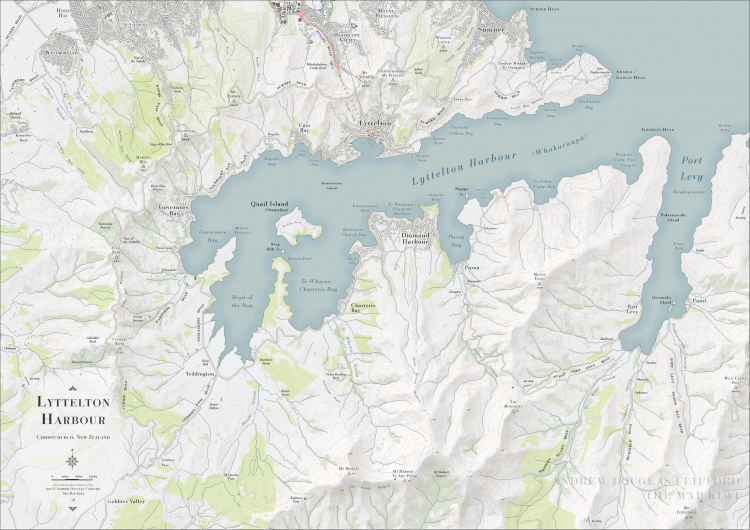 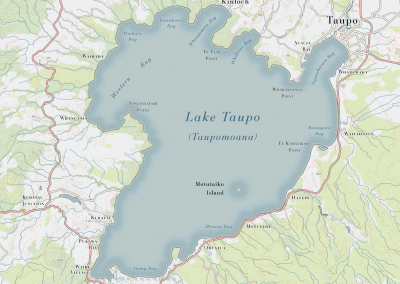 The map also won me the New Zealand Cartographic Society People’s Choice Map Award, and placed me as a finalist in the New Zealand Spatial Excellence Awards in the student category in 2016. 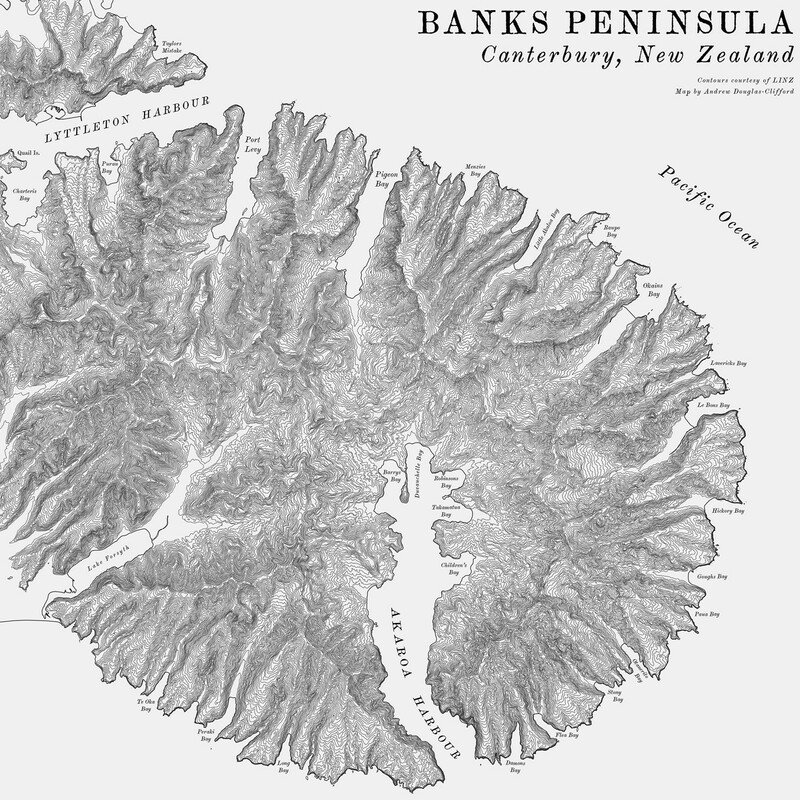 With demand for beautiful, aesthetically pleasing cartography, The Map Kiwi was born. 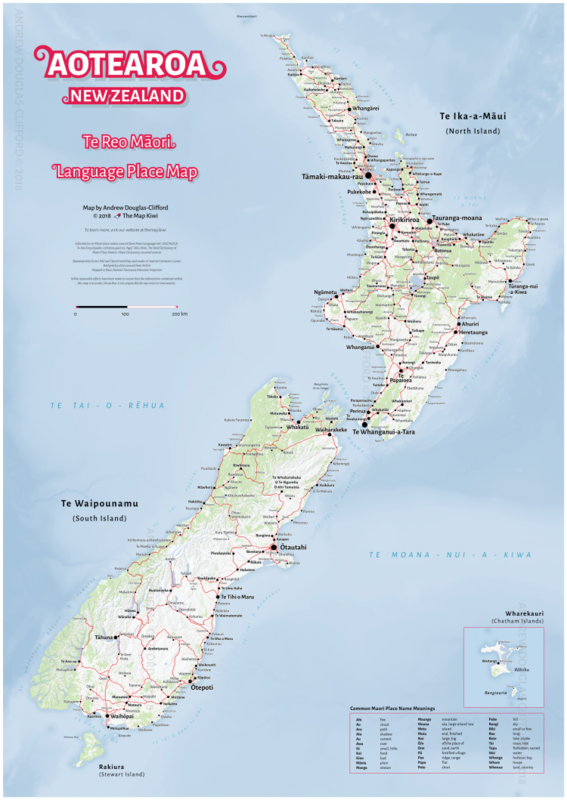 With a focus on New Zealand, The Map Kiwi designs print maps across a variety of subjects and locations. 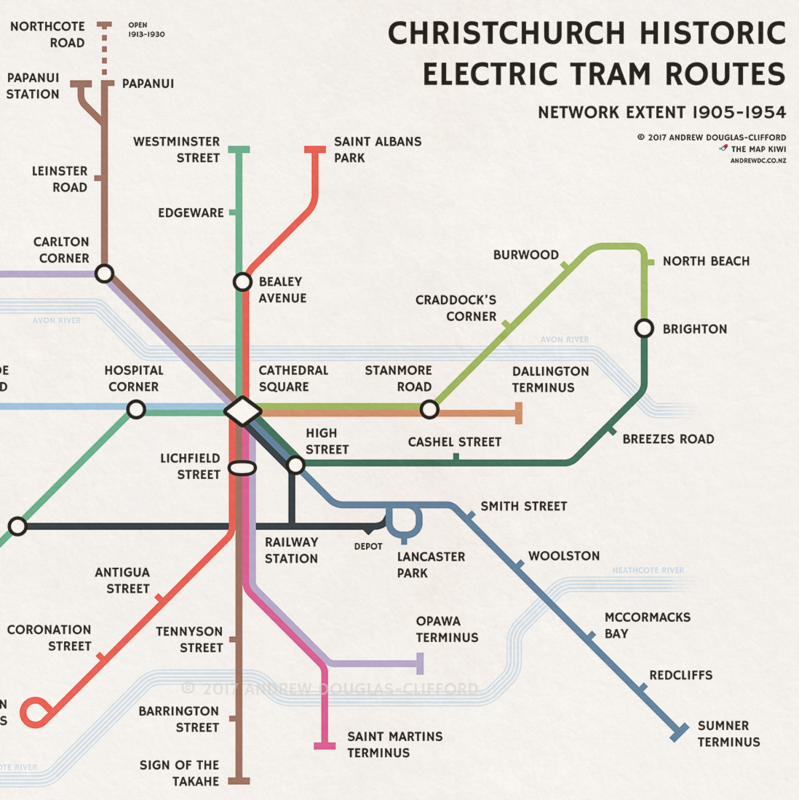 These include London underground inspired transport maps, topographic maps, and a range of art inspired and experimental cartography. 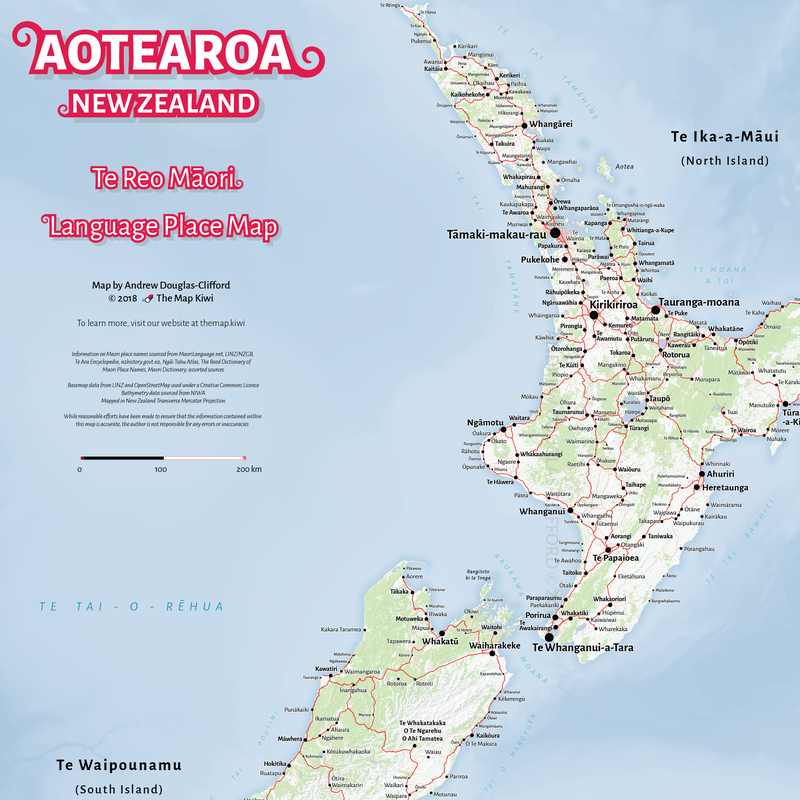 The majority of print designs and products I create can be bought here on my website, and also in some retail stores. 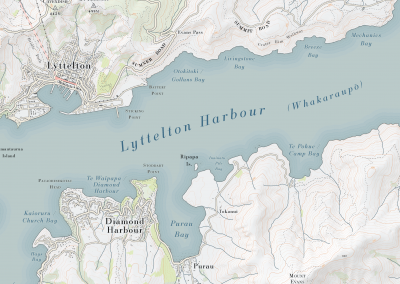 To date, designs from The Map Kiwi find themselves on hundreds of walls across New Zealand and abroad. 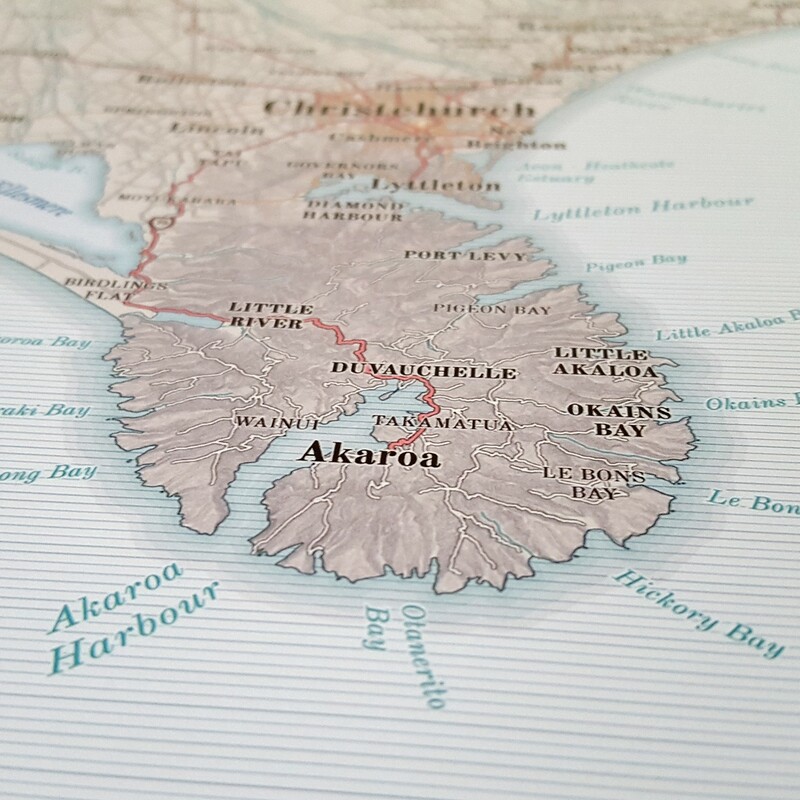 Get prints of our most popular designs, delivered to your door!